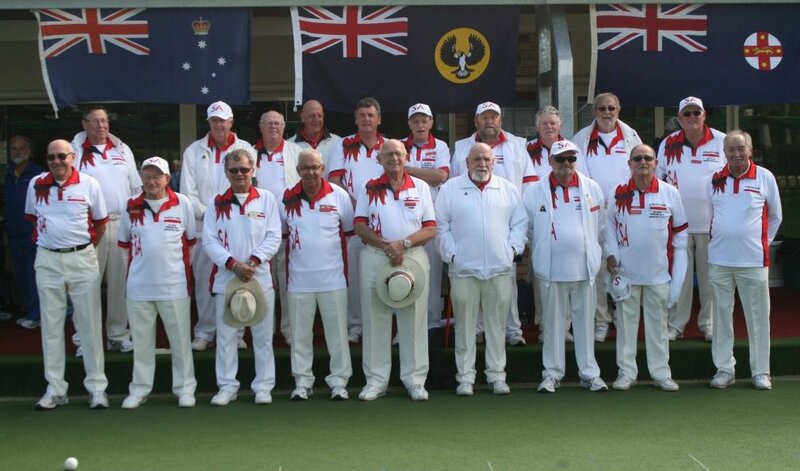 This years “National Bowling Arm Sides Championship” was held at the Tranmere Bowls Club situated 6 kms east of Adelaide, South Australia. The Club boasts 3 “new” synthetic greens in a picturesque setting. 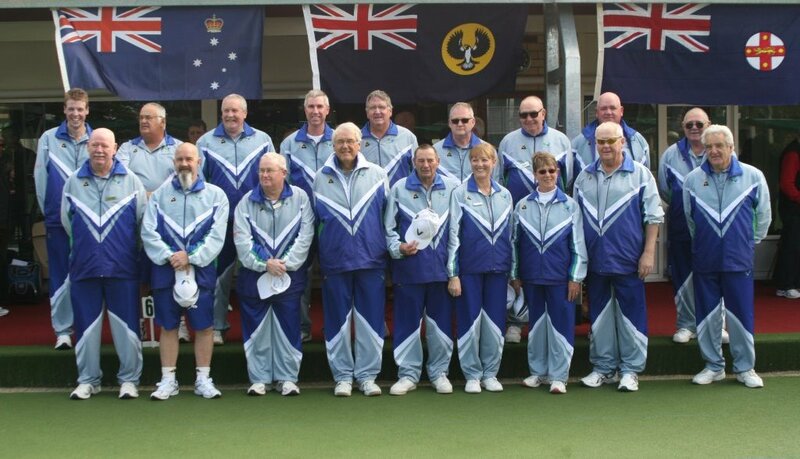 The Overall Tournament Director was Mike Porter, the State Side Managers/Coordinators were; Don Reid (SA), Phil Gude (VIC) and Vince Daly (SA) and the Organizing Committee comprised of: Rodney Egge, Ron Mitchell & Mike Porter. 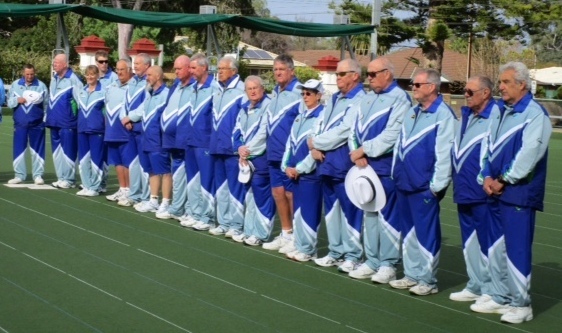 The NSW “Woomera’s”, the South Australian “Sturt Peas” and the Vic’s. 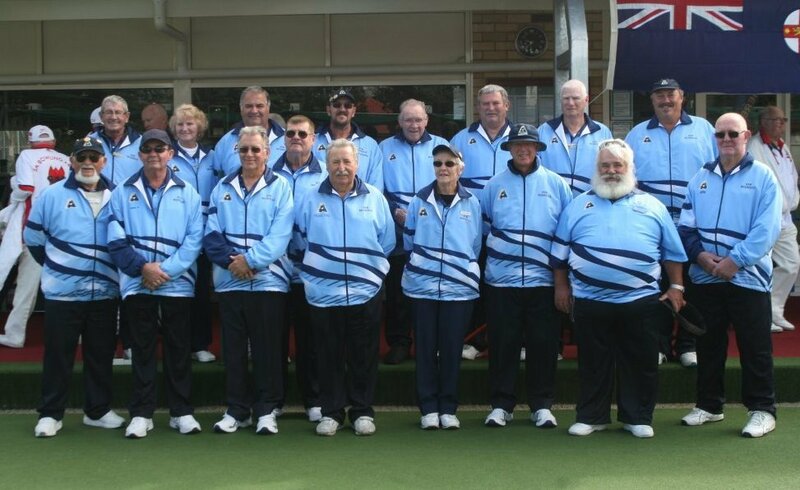 Vic’s: Barry Anset (Bendigo), Ray Arnold (Dromana), Barry Atkins (Romsey), Ray Bezett (Benalla), Stephen Coles (North Balwyn), Neil Crisp (Warrnambool), Doug Corrigan (Ringwood), Graham Edwards (Swan Hill), Peter Gribbin (Pakenham), Terry Gilmore (Eaglehawk), Phil Gude (Dromana) (Vic. Side Manager), Malcolm Finch (Golden Square), Tony Long (St Leonard’s), Bob Ormesher (City of Frankston), Arthur Parker (Main Ridge), Ann Power (City of Frankston), Adele Ryan (Ocean Grove), Lee Wesley (Romsey). Missing: Mike Scotter, selected but unable to attend. How the “Woomeras” lined up. 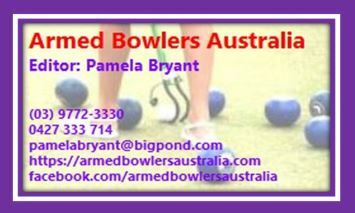 NSW: Malcolm Adams (East Maitland), Warren Allomes (East Maitland), John Davis (Belmont), Kenneth Davies (Muswellbrook RSL), Stephen Gilchrist (Lorn Park), John Hamilton, (Lorn Park), Michael Kedwell (Teralba), Gloria Lamb (Beresfield), Michael O’Neill (Teralba), Clayton Parker (East Maitland), John Passfield (New Lambton), Gail Reid (Beresfield), Don Reid (Beresfield) (NSW Side Manager), Trevor Solomons (Maitland City), Allan Starrett (New Lambton), Roger Sydenham (South West Rocks), Barry Troope (Halekulani), Edward Wozniak (East Maitland), Stan Wrzeczycki (New Lambton). 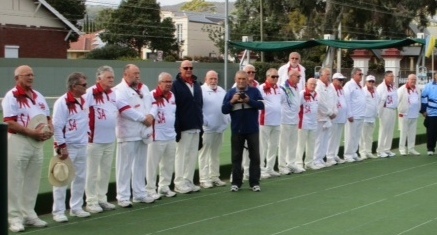 SA: Ron Adam, Peter Amos, Brian Bagshaw, Colin Baker, Arch Baxter, Malcolm Borlase, Vince Daly, (SA Side Manager), Rodney Egge, Peter Faull, Rodney Haywood, Allan Hill, Johnny Ivanica, Rodney Knevitt, Phil May, Chris Prow, Stuart Reither, Bill Richards, Barry Robran, Don Sheldon.